What's Stopping You Reaching Your Martial Arts Goals? 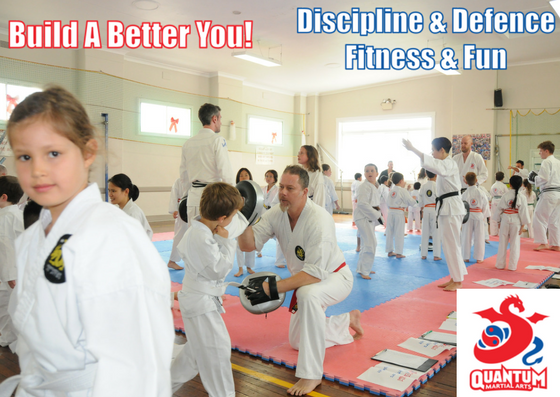 In order to achieve your or your child’s martial arts goals, you often need to change the way you do things. If not, you probably would have reached your goals already. Whether your goal is a Black Belt, fit and healthy body, or feeling confident that you can defend yourself, change is often needed. If you have not reached your goal, ask yourself why. Are there unhealthy activities you still do? Do unnecessary distractions get in the way? Are you letting other people stop you achieving what you want to accomplish? Achieving what you want is completely possible. When I was younger, I was overweight and severely lacking in confidence. I barely had the conviction to walk into my first martial arts class. However, many moons later, I have passed many Black Belt Dan gradings. I have competed successfully in tournaments all over the world. So, martial arts goals can be done. Being perfect – from my first class, I loved martial arts. However, I would often get downtrodden if I could not master techniques straight away. That was the wrong approach. Martial arts is not meant to be easy. Because it difficult, it helps us discover what we are made of. Luckily, I never got so downtrodden that I wanted to discontinue. However, I have seen this in some students over the years. So what can you do about this? Firstly, be thankful that you have a healthy, functioning body that can practice in martial arts in the first place. Give yourself a pat on the back. Once you learn to cut yourself some slack, you can relax and enjoy the process of getting better with your martial arts. Failing – some people are so scared of failing that they do not even start things. With a world so focused on success, failure is unfortunately seen to be a bad thing. Well, remember when you were a little baby (probably not, but humour me here). You constantly tried to walk and fell over. If you gave up on your first go, you would still be lying there. But you kept trying to walk and your parents kept encouraging you. Now, your walking is so good that you can get to your martial arts classes. So do not let failure dampen your spirits. If anything, the experience you get from failing should help you work out how to do it better the next time. Concentrating too much on the finish line – some students are really focused on getting their Black Belt and want it as of yesterday. However, this takes away the whole reason of doing martial arts. In martial arts, you must learn valuable life lessons such as patience and discipline. There are certain paths that need to be followed. These are not overnight lessons. So slow down, enjoy your classes and the end result will come at the right time. If you need to slow down at times, do not let it stop you chasing your goal. Reasons not to start…or continue – having worked in both the office and front desk of our martial arts dojos, I have heard many reasons people give for not chasing their martial arts goals. There is little point telling me your personal reasons. I had my personal reasons that I had to overcome. You need to ask yourself why you are saying your reasons. You then need to ask yourself whether they are important enough to stop you chasing your dreams. Martial arts is a life changing experience. I have literally hundreds of examples from students on these experiences. But you have to let martial arts do this for you. Again, ask yourself whether the reasons you are giving yourself are strong enough to stop you chasing your martial arts goals. Procrastination – my bad one. I was always going to call the dojo tomorrow. Ten years later, I was still going to call the dojo tomorrow. If you want to chase a goal, “now” is the best time to start. “Now” is the only time you can change your life. So, jump online and book your martial arts class right now. If you are already a martial arts student, book in your next grading / tournament / goal right now. Once you have committed, then work towards it. Disturbances – there will always be distractions in life. It is how you react to them that is important. You must remember that you have committed to a martial arts goal. While this goal is important to you, it is not important to other people. They have other things in their life. So do not let “disturbances” from others side track you. You have chosen this path, so go 100%. Consistency – I sometimes see students training hard when they have a grading coming up, but dropping the intensity when the grading goal is not ‘as close’. If your long-term martial arts goal is really important to you, you need to be training consistently all of the time. I train for at least an hour…often longer…every single day (no rest days with me). Consistent training will always ensure you are ready when the opportunity presents itself. It’s funny. I bumped into one of my students down the gym today and he asked whether I was training for a tournament or whether I was training for life. I was glad to say I was training for life. So what is your next step? Take action now. Do not let things get in your way. See you in the dojo.